11th Sunday after Pentecost. Tone 2. Apostles of the Seventy Silas and Silvanus, and with them Apostles Crescens, Epenetus, and Andronicus (1st c.). Martyr John the Soldier, at Tralles in Asia Minor (361-363). 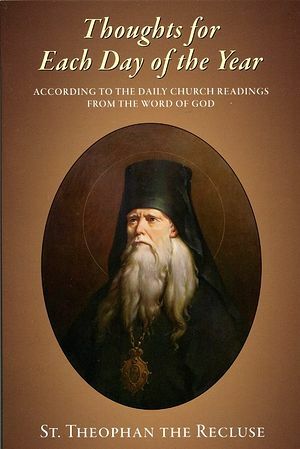 New Hiero-confessor Anatole II (Potapov), elder, of Optina Monastery (1922). Hieromartyr Polychronius, bishop of Babylon in Mesopotamia; Hieromartyrs Parmenius, Elimas, and Chrysotelus, priests, and Luke and Mocius, deacons, and Martyrs Maximus and Olympius, at Cordoba (ca. 251). Hieromartyr Valentine, bishop of Interamna (Terni) in Italy, and Martyrs Proculus, Ephebus, Apollonius, and Abundius (ca. 273). Uncovering of the relics of St. Herman of Solovki (1484). Synaxis of the Saints of Samara. Sitka Icon of the Most Holy Theotokos. Martyrs Abdon and Sennen, princes of Persia, at Rome (251). Prince Tsotne Dadiani the Confessor, of Mingrelia, Georgia (13th c.). St. Stephen Vladislav of Serbia (1243). St. Angelina (Brancovic), despotina of Serbia (16th c.). The Lord concluded the parable about the two debtors with the following words: So likewise shall My Heavenly Father do also unto you, if ye from your hearts forgive not every one his brother their trespasses. It would seem that such a small thing is needed: forgive and you will be forgiven. When you are forgiven, you are brought into mercy; and when you are brought into mercy, you have become a participant in all the treasures of mercy. So here is salvation, and paradise, and eternal bliss. What a great acquisition for such a small thing as forgiving!…Yes, it is a small thing, but for our self-love there is nothing more difficult than to forgive. We still perhaps forgive some unintentional annoyance dealt us in private so that nobody sees; but if it is just a bit more sensitive, and in front of people, do not even ask—no forgiveness. There are circumstances when whether you want to or not, you are not allowed to express your displeasure—and so you remain silent. However, only your tongue is silent—meanwhile your heart speaks and builds evil plans. Raise the annoyance yet another degree—and there is no restraint. Neither shame, nor fear, nor loss, nor any other thing will restrain you. Egoism which has reached the boiling point makes a person as though insane, and he who gives in to it begins to talk foolishness. The people most subject to this misfortunate state are usually not just anybody—the more civilized one is, the more sensitive he is to insults, and the less forgiving. Relations will often remain smooth on the surface, but inwardly there is clearly discord. Meanwhile, the Lord requires that we forgive with our whole heart. Saint Silas was a respected figure in the original Church at Jerusalem, one of the “chief men among the brethren” (Acts 15:22). 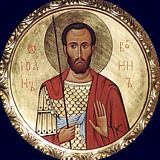 The Holy Martyr John the Warrior served in the imperial army of the emperor Julian the Apostate (361-363). He was sent with other soldiers to seek out and kill Christians. August 12 is the commemoration day of Venerable Anatoly (Potapov), one of the last of the Optina elders. In contrast to the preceding Optina saints, there was no one left to compose the life of this elder after the Revolution. There remained only fragmented memories of pilgrims, notes of spiritual children, and letters of the elder, in which biographical details were often lacking, but in which his image rises up brightly and vividly. We honor the memory of the elder and reminisce with these recollections.